At RHRLI, we know that just about anyone can lose their hair. Age matters less than you think. Many people suffer hair loss when they’re young. Hair loss happens all around the world and it doesn’t matter what your station in life is. People from all walks of life lose their hair and that includes celebrities. We tend to think of celebrities as “beautiful people,” and many of them are, but they struggle with hair loss just like you, your family and friends. Some celebrities have shared their stories related to their hair loss. We want our patients to know they’re not alone and there are solutions to hair loss. At RHRLI we have a permanent solution called the ARTAS® System and it’s a minimally invasive robotic follicular unit extraction (FUE) hair transplant. ARTAS® uses robotic technology to give you the healthiest head of hair you can find. And there’s a minimal recovery time with ARTAS®. But that’s only part of the RHRLI edge. When you visit RHRLI, you’ll consult with our board-certified surgeon Dr. Baiju Gohil. He will give you personalized attention and explain your options. We’ll also lay out the ARTAS® procedure and answer all of your questions. We’ll treat you like a celebrity and we want to tell you about recent trends in celebrity hair loss. 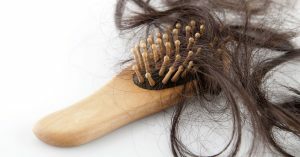 Many people in society tend to think of men when they think of hair loss but women also lose their hair and it can be particularly difficult because they are too often judged on their appearance. But some famous women are starting to talk publicly about hair loss. One of them is actress Jada Pinkett Smith who revealed on her show, Red Table Talk that she was losing her hair, according to Racked. “I was just like ‘Oh, my God,’” she said after seeing hair clumps fall out in the shower. “It was one of those times in my life where I was literally shaking with fear.” Pinkett Smith has been wearing turbans and head wraps to keep fashionable. Hair loss affects up to 40 percent of women by age 40 and Pinkett Smith is 46, but TV star Sarah Hyland was much younger when she spoke about her hair loss. “Help, help, help,” she wrote. “What hair-care products are out there for thinning hair? This 27-year-old would like to know,” the “Modern Family” star wrote on her Instagram account. In 2012, Hyland had a kidney transplant and she says the medications she’s taken related to her transplant may be causing her hair to thin. One of the most famous people in the world to get a hair transplant just relocated to the U.S. British soccer star Wayne Rooney first went public about his hair transplant in 2011 at age 25, saying, “Why not? I’m delighted with the result,” according to the BBC. Rooney has now taken his talents to our nation’s capital, where he plays for D.C. United. He’s enjoying his new look and his new life, where he’s not under the scrutiny he saw in England. At RHRLI we specialize in changing lives. Our procedure is minimally-invasive and we don’t use scalpels. In fact, most of our patients report little to no pain. To learn more, contact us today.